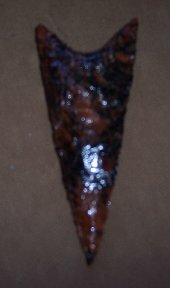 Whether you want loose arrowheads to pass out to friends, a unique gift for a hard-to-buy-for friend, a special cased arrowhead to give to that new Eagle Scout, or traditional tips for your hunting arrows - you can order exactly the type of arrowhead you want using multiple selectable options. If you do not feel like making decisions, simply select Artist's Choice. Since these items are made following being ordered, the fulfillment of the order may take a month. 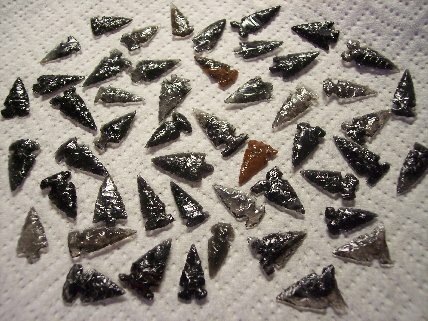 Here are offered bulk lots of loose arrowheads at discounted prices. There are also offered "Arrowhead Cards" which feature very small arrowheads on souvenir cards perfect for gifting. Since these items are made following being ordered, the fulfillment of the order may take a month. 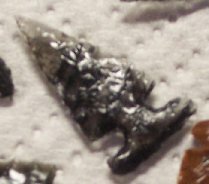 On this page you can order one of many Specific Archaeological Arrowhead Types. 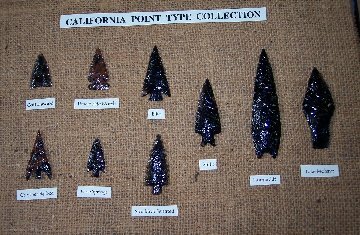 Listed are just a few of the Named Arrowhead Types that Dr. Susan "Arizona" Gleason can replicate based on her studies, mainly Western American types out of obsidian. Please remember that there is quite a wide variation even within a named point type, as well as in applied interpretation of these types. Since these items are made following being ordered, the fulfillment of the order may take a month. Here are listed and pictured the currently available form and material options which you can request for your made-to-order arrowheads from Phoenix Obsidian Designs. If you do not feel like making decisions, select "Artist's Choice" for the point form options anywhere on this site. Put your custom made Arrowhead in a Riker Mount Shadow Box available here. These boxes are thick cardboard with a glass front and contain white cushioning material. Several other shadow box and frame options are also available here. Receive every month a named archaeological arrowhead type. 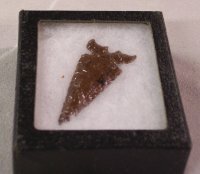 These arrowheads come in a shadow box with a descriptive card listing location, time span, and other details about each specific archaeological replica. Current offerings are shown on this page. Also available here are special display collections for different regions.